There’s no question in Silvia Kirkorian’s mind what make her feel her best. 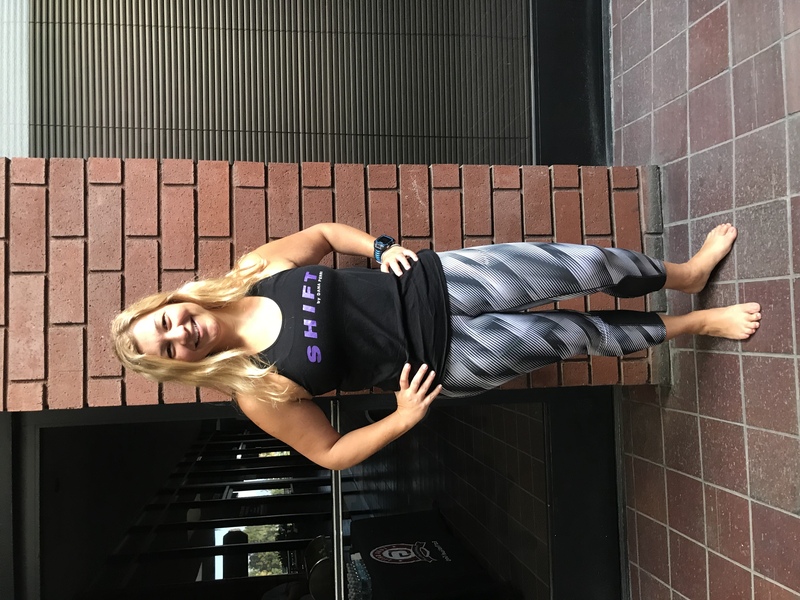 “The way SHIFT makes me feel is incredible. If I don’t’ work out I don’t feel good. It puts me in a happy place,” Silvia said. Silvia has been with SHIFT by Dana Perri since the studio opened. 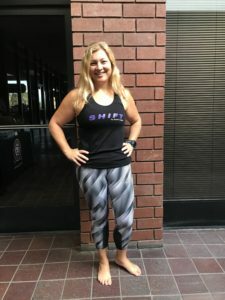 She takes the SHIFT and Power SHIFT classes two to five days a week. Silvia is in the banking industry and has a deskbound job. “Working out is a necessity because of my sedentary job. I work hard at fitting my exercise in,” she said. Silvia said she sets goals along the way. She works at combining her exercise with a clean diet. She gets better results when she’s eating better and working out. Her stamina is higher and she is more flexible and capable with her other activities. She also likes to run, swim and bike. Silvia is a big Dana Perri supporter! “Dana is the best instructor I’ve ever had. She’s very encouraging and knows exactly what she’s doing. She explains things well so you’re never confused about what you’re doing. She’s never intimidating,” Silvia said. Silvia said she feels safe exercising on SHIFT’s spring floor. She never worries about injuries or hurting herself at SHIFT. “I love the full body workout. I love that every part of my body gets moved and exercised. The spring floor takes the impact and I always feel great after a class”. Silvia hasn’t always been so committed to exercising. She didn’t work out consistently. She said it took her eight months of consistent exercise for her to realize exercise is a necessity. “I feel I can outdo most women who are half my age. I can do more now than I could when I was 20 years old, and I feel amazing,” Silvia said. Website Development by Weston Graphics, Inc.
Join our mailing list to receive the latest news and updates from the SHIFT Team.